Just right place in the country with a 3 bedroom home update with hardwood floors, Berber carpet and wood blinds. French doors lead to one bedroom or use it as a den or media room. Forced air furnace recently serviced plus a propane stove to keep it cozy. Hot water heater installed 1 1/2 years ago. 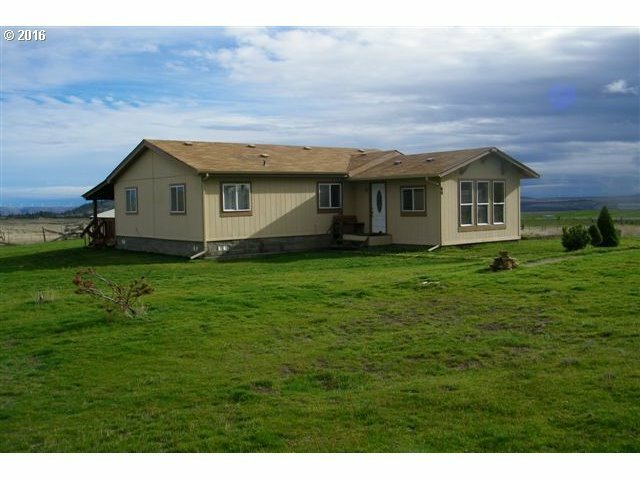 Ideal for horses or other livestock with a 24x36 barn, pasture and a seasonal pond. Free standing deck, kids play house, well house. Copyright © 2019 RMLS. All rights reserved. Information deemed to be reliable but not guaranteed and should be independently verified. The data relating to real estate for sale on this website comes in part from the Internet Data Exchange Program of the RMLS™ of Portland, Oregon. Real estate listings held by brokerage firms other than Coldwell Banker United Properties are marked with the IDX logo and detailed information about them includes the name of the listing brokers. Listing broker has attempted to offer accurate data, but buyers are advised to confirm all items. Information last updated on 2019-04-19 21:17:54. Some properties which appear for sale on this website may subsequently have sold or may no longer be available..